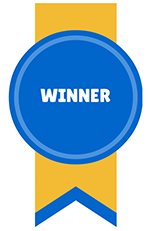 Throughout the year, we’ll be celebrating the masterpieces of marketing that brought home the honors at the 2014 SMPS Boston ROC Awards gala. May you find creative inspiration from these outstanding communications! When the American Society of Landscape Architects (ASLA) brought its Annual Meeting and Expo to Boston in 2013, landscape architecture firm Reed Hilderbrand LLC knew they had to capitalize on homefield advantage. 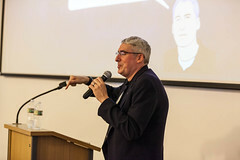 Reed Hilderbrand wanted to give something special to conference attendees that captured the uniqueness of Boston, the artistry of their discipline, and the brand identity of their firm. The result was a fantastic Field Book, printed in a limited edition of 500 copies, backed by a mobile-ready website. This effort won the 2014 ROC Award for Event Marketing. Reed Hilderbrand’s attention to detail began with the materials used in the book itself. Working with Pinball Publishing, they selected the Scout Books product, assembled from recycled paper goods in a manner that minimizes environmental and energy impacts. While this product was limited in its length and ability to use color, Reed Hilderbrand turned this into a strength of the finished product by developing concise, impactful material along with attractive gray-scale graphics. 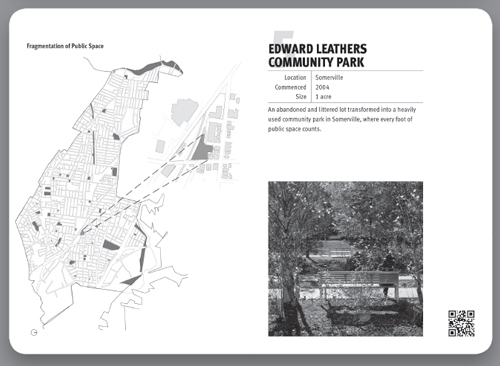 What might have been a simple marketing document in the hands of a lesser team became, in Reed Hilderbrand’s effort, a pocket-sized guide to Boston-area landscape architecture that also happened to highlight the firm’s best projects. 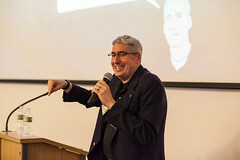 QR codes in the book mapped to Google Maps, allowing the team to omit directions in the booklet and serve them up to attendees’ smartphones effectively. The integration with smartphones extended to a mobile site that replicated and complemented the material in the Field Book. 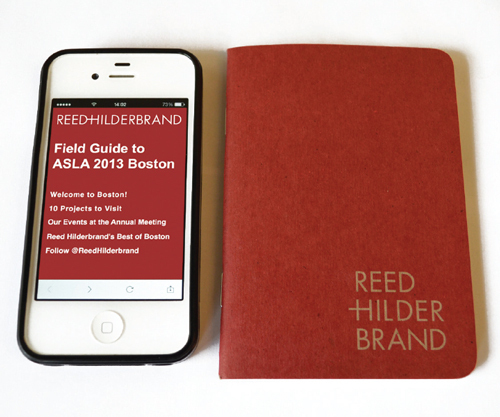 Reed Hilderbrand used the Field Book and mobile site to promote conference lectures and seminars led by firm members at the ASLA conference. 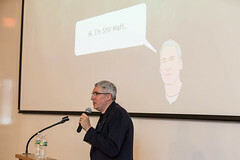 Additionally, the book promoted a short film by Reed Hilderbrand’s team regarding the future of the Seaport District. One of the judges liked the Field Book so much, they took it home after the judging panel concluded! With its blend of digital and tactile, its unique, informative take on Boston, and its creative approach to showing off the firm’s work and values, Reed Hilderbrand’s Field Book was truly the gold standard in Event Marketing for the SMPS Boston chapter this past year.